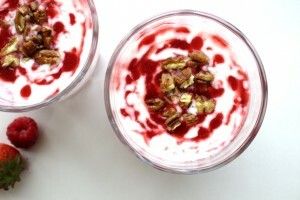 I am currently loving yoghurt and berry compotes and eat them regularly for breakfast. After my recent Crohn’s flare, I still haven’t been able to re-introduce raw foods. This is a great way to still get my daily fruit quota without hurting my tummy. All of this, and they look so pretty! This is also a great recipe if you have bought too much fruit and you’re not sure what to do with it. 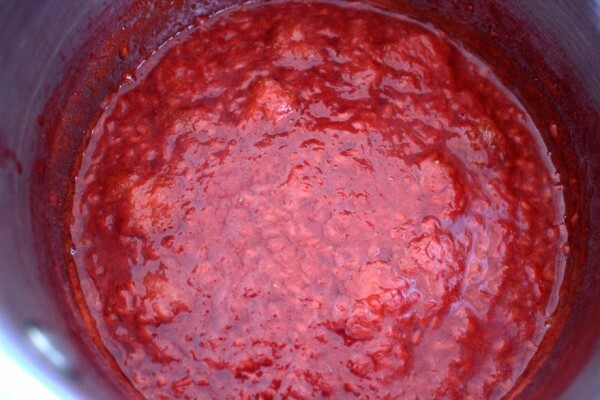 You can made a big batch of compote, allow it to cool and keep it in the fridge in an airtight container for a few days. When you fancy some, just add a few tablespoons to some SCD yoghurt. Voila! You have yourself a healthy and nutritious snack. 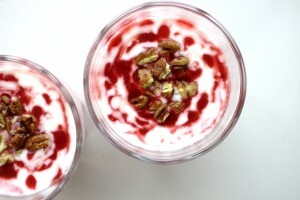 To see how I make my SCD yoghurt, click here. Berry compotes are such a handy thing to learn how to make. 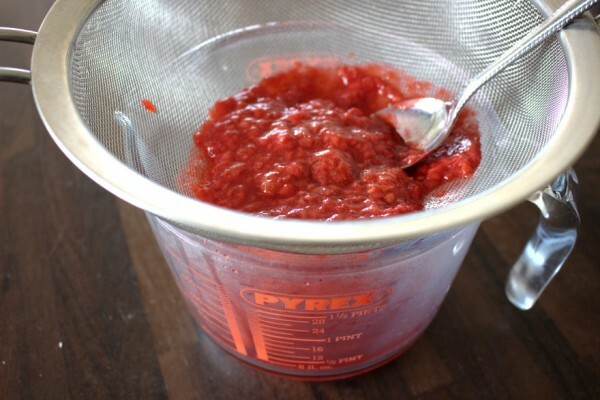 They are so easy and you’re essentially making your own quick and healthy jam. I don’t add any honey while making this because it can tend to burn on the stove but feel free to add a drizzle of honey when serving. The flavour possibilities are endless – use whatever is in season. I love raspberry, strawberry or blueberry in particular. Or you could try mixing berries for a delightful twist. My daughter loves this as an after dinner snack and it is so much healthier than store-bought yoghurts which are sugar-laden. If serving to small children, simply omit the whole nuts. This yoghurt and berry compote recipe is a great one to add to your repertoire. I usually make a batch on a Sunday evening for busy work morning breakfasts. 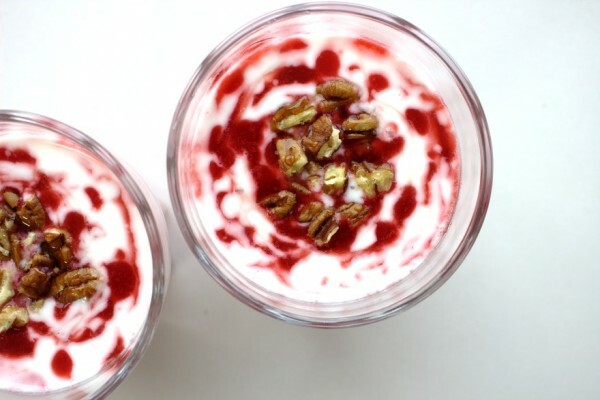 The perfect, healthy breakfast for when you’re on the go! Are you on SCD? If you are on SCD then you can’t use store bought coconut yoghurt unless all the ingredients are SCD-legal. I have yet to find one! 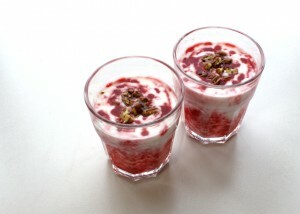 If you are not on SCD or making the yoghurt yourself, then of course this recipe will work with the coconut yoghurt. Let me know how you get on!